Return flights to Quito and plus your internal flights to San Cristobal and to Amazonian Ecuador. 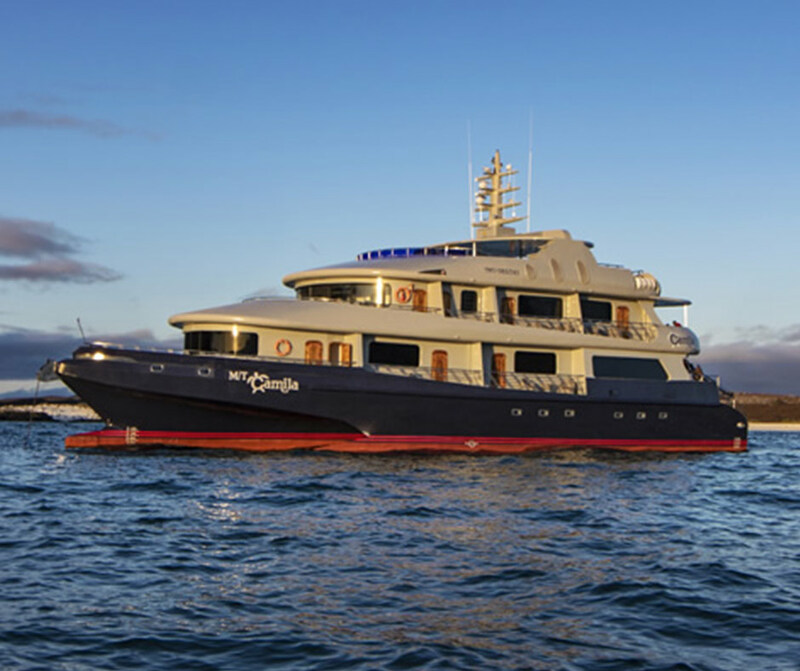 All transfers and private guiding requirements, explorations by boat on the Amazon and your Galapagos islands luxury cruise in contrasting locations. Downtown hotel accommodation in historical Quito, five nights aboard the luxury MT Camila, cruising the Galapagos and a unique stay in La Selva Amazon Eco lodge, a wildlife retreat like no other. We will take care of your dining reservations, and tailor short excursions to your interests. 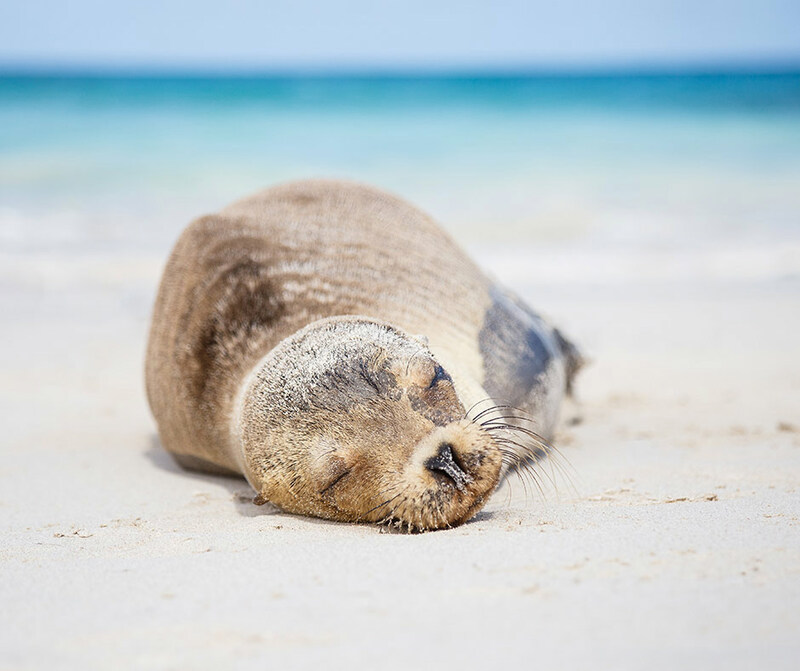 The famous Galapagos Islands offer a once-in-a-lifetime experience for nature lovers. You will encounter animal and plant species not found anywhere else on Earth. 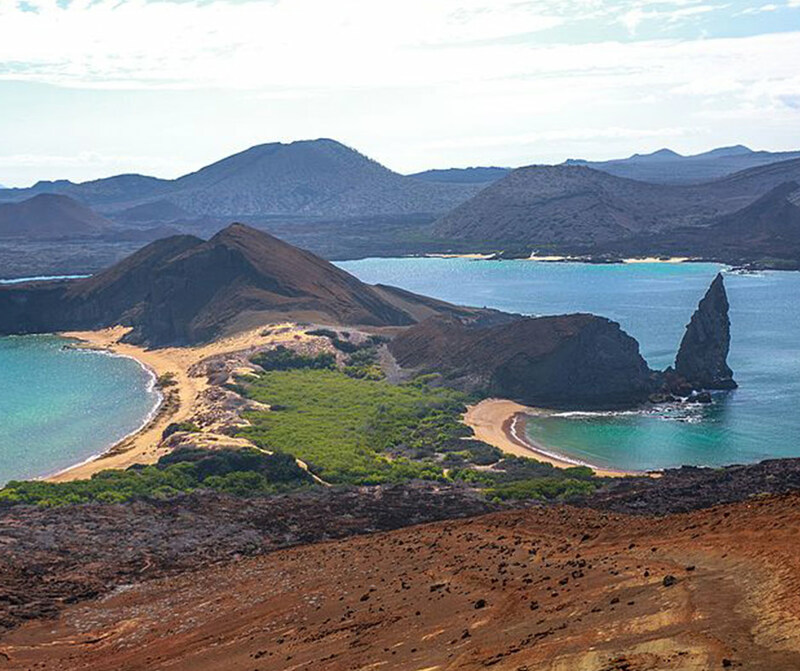 However, the Galapagos Islands are only part of the wonders of Ecuador. The equator crosses the country and the Andes run the full length of the mainland, with snow-capped volcanoes, traditional markets and beautiful colonial cities. 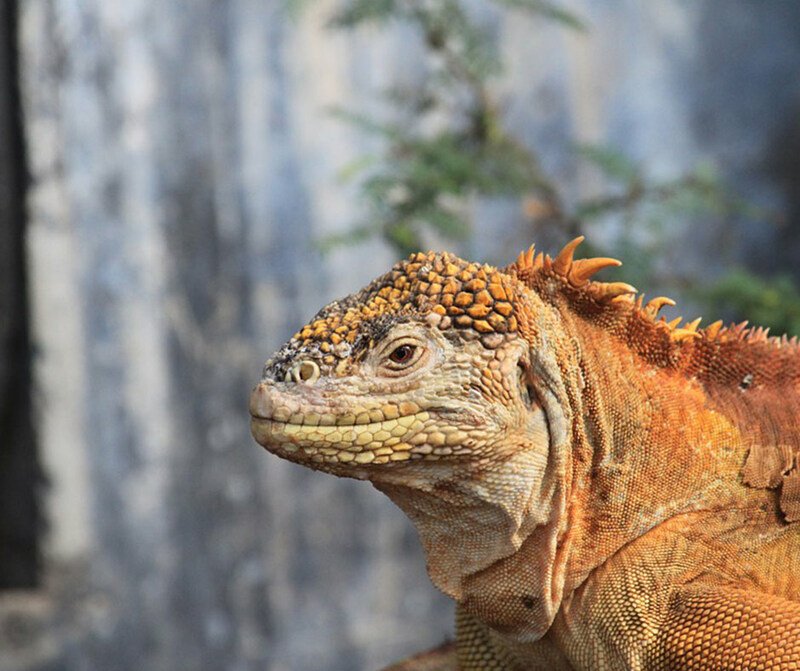 Here is a taste of what you can expect on your trip with us to Ecuador & The Galapagos Islands. Depart from Dec to May. Fly from Dublin to Amsterdam and on to Quito Mariscal Sucre International Airport. On arrival, you will be privately transferred to your hotel in Quito. 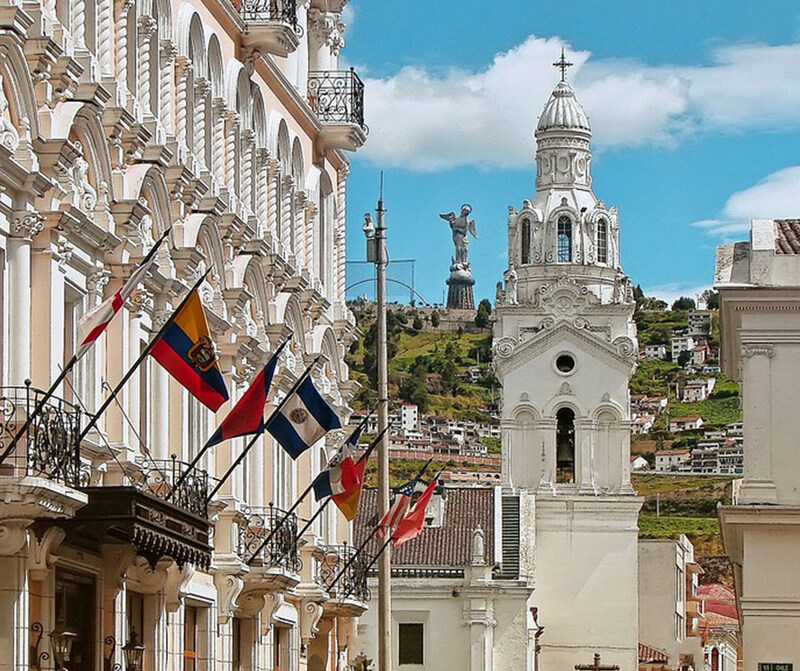 Spend two nights in downtown Quito, the perfect base for exploring Quito. A capital city high in the Andes, Quito is dramatically situated, squeezed between mountain peaks whose greenery is concealed by the afternoon mist. You will be transferred by private vehicle to Quito Airport. From here you will fly to Coca Airport, where you will be transferred to La Selva via motorised canoe. 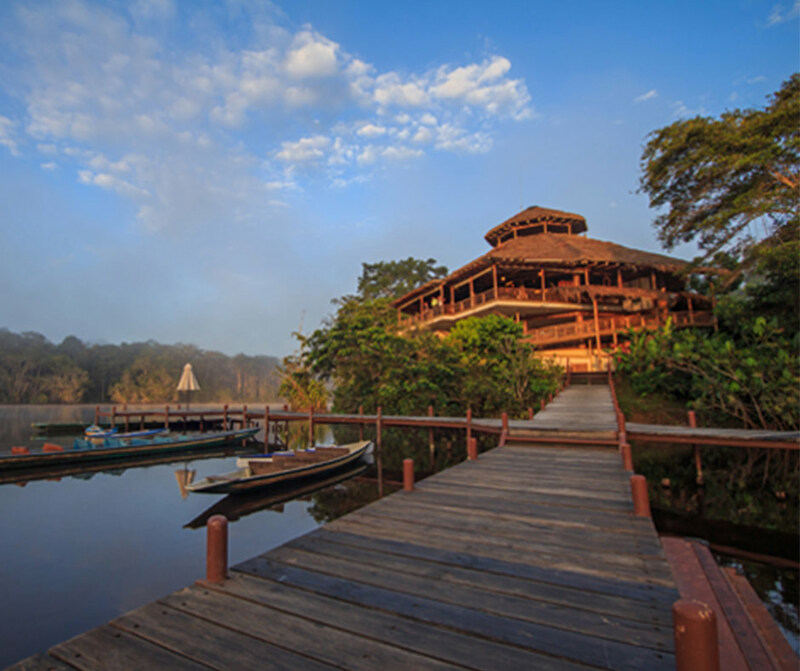 Spend three nights in La Selva Amazon Ecolodge. 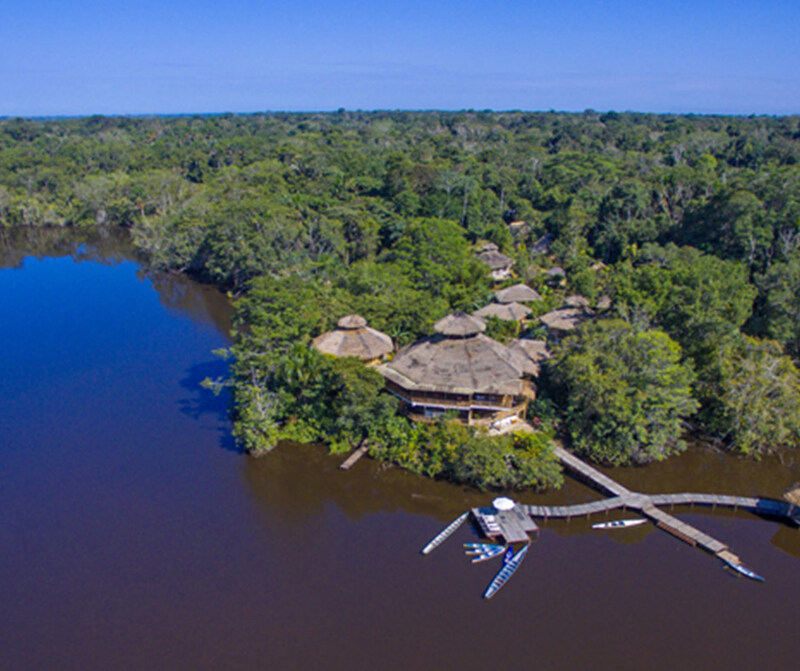 La Selva Amazon Ecolodge is located on the border of Yasuni National Park, in the heart of the Ecuadorian Amazon Rainforest. Guests can enjoy numerous activities including guided jungle excursions and lagoon swimming. You will be transferred by private vehicle back to the airport for your flight to Quito. You will spend one night in Wyndham Quito Airport. 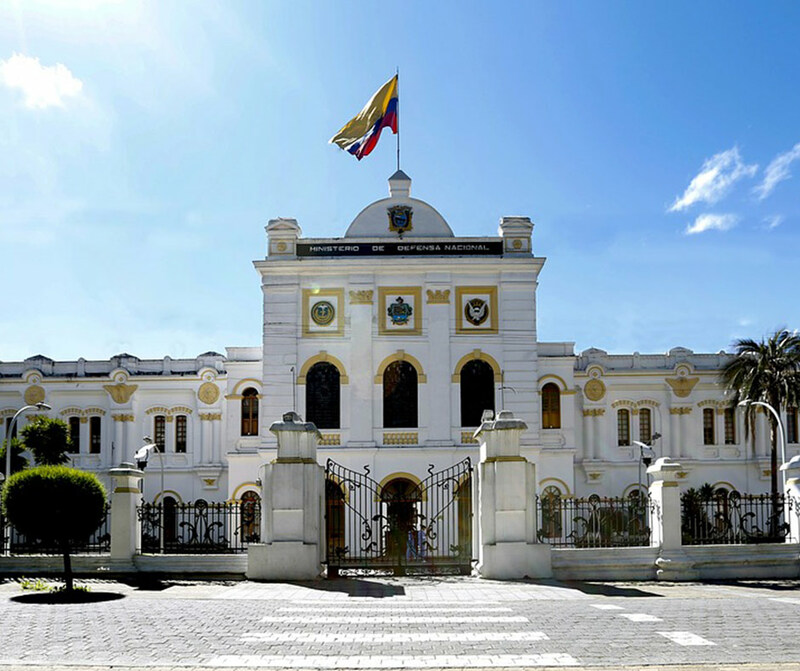 Spend the day relaxing or exploring Quito’s many museums and historic sites. 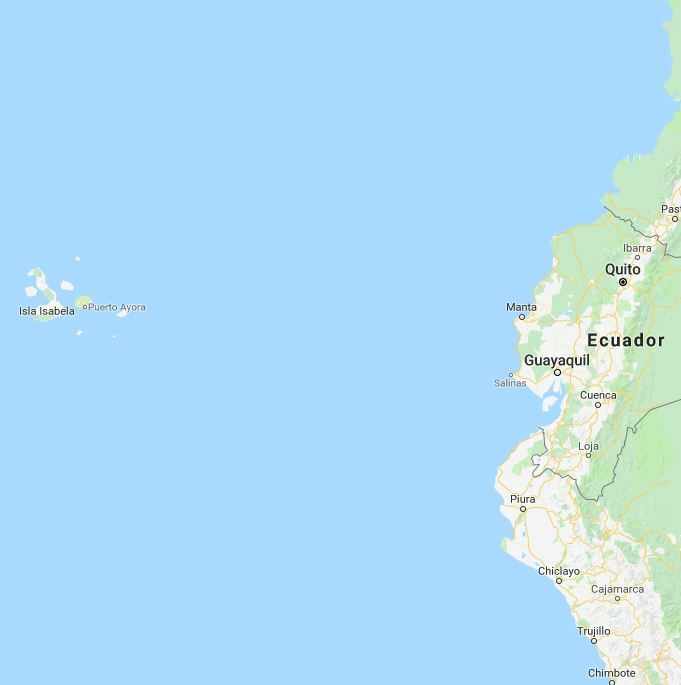 You will then fly direct to Galapagos Airport and will be privately transferred to MT Camila. You will spend five nights on this luxury cruise ship. 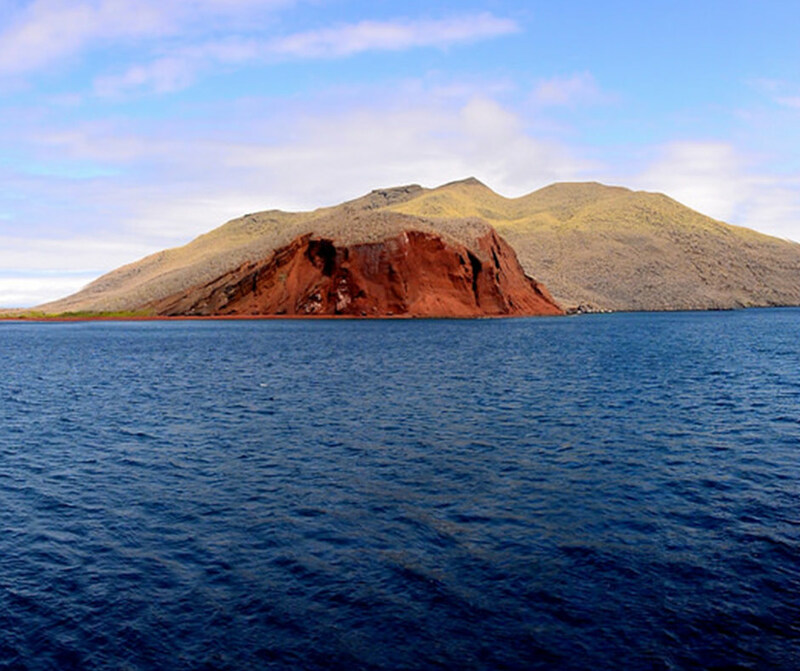 In the evening, explore Bartolome Island, known for its incredible volcanic remains, including Pinnacle Rock. Embark on a hike to the top of the island and get spectacular panoramic views of Sullivan Bay. You might be able to spot lava lizards and the fascinating frigate birds. Take a trip to Rabida Island, which has a unique fine red gravel beach due to the iron content. Enjoy snorkelling in the rich waters or visit the black lagoon, home to the majestic pink flamingos. 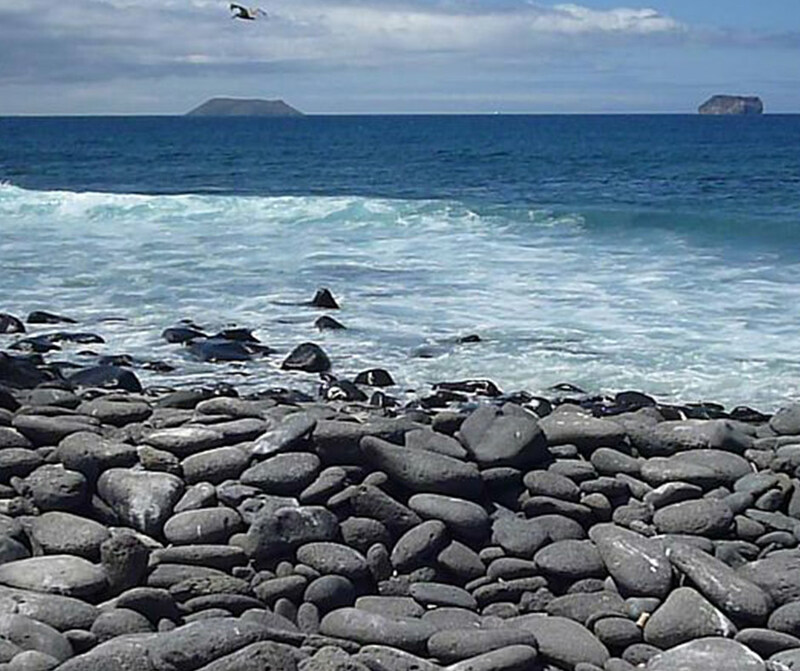 In the afternoon visit Egas Port, home to Galapagos hawks, lava lizards and fur seals. Hike through the mangroves near Darwin Bay and admire the spectacular wildlife and fauna. In the afternoon, visit El Barranco, also known as Prince Philips Steps. The eroded cliffs are the perfect nesting place for birds such as storm petrels and red-footed boobies. Visit the coral reef in between the islands of Baltra and North Seymour. It has one of the largest populations of sea lions and orcas can be seen hunting on occasion. In the afternoon, visit the highlands of Santa Cruz, home to giant turtles and mockingbirds. Explore the rocky coast of North Seymour on your final day of the cruise. It was formed from an uplift of a submarine lava formation. Spot marine iguanas, blue-footed boobies and land iguanas. Disembark MV Camila and privately transfer to Galapagos Airport. Fly to Quito Airport and arrive in Dublin via Amsterdam.